Yah, you are right that 串's original meaning is: "use a stick or string to link-up or to group many similar stuffs together"
Oracle Script of 串 has not been found yet. Its Bronze Script does be very similar as what we are writing now - 串. So when 串 is used as verb, it means: link-up or group similar stuffs together using sticks or strings. While it is used as noun, it means: similar stuffs being linked-up or grouped by sticks or strings. Chinese ancestors were so smart that they thought "what can 串 mean as well if the two rectangles of 串 are two mouths (口)?" That is why 串 was extended to mean "collusion", for example 串供. 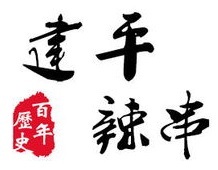 With the same idea, two rectangles can be used to refer to two gates or places as well (we have known it while learning 路), so 串 can also be used to mean "visiting friends' homes one by one for social connections" or "visiting different places one by one for social connections", for example: 串门.